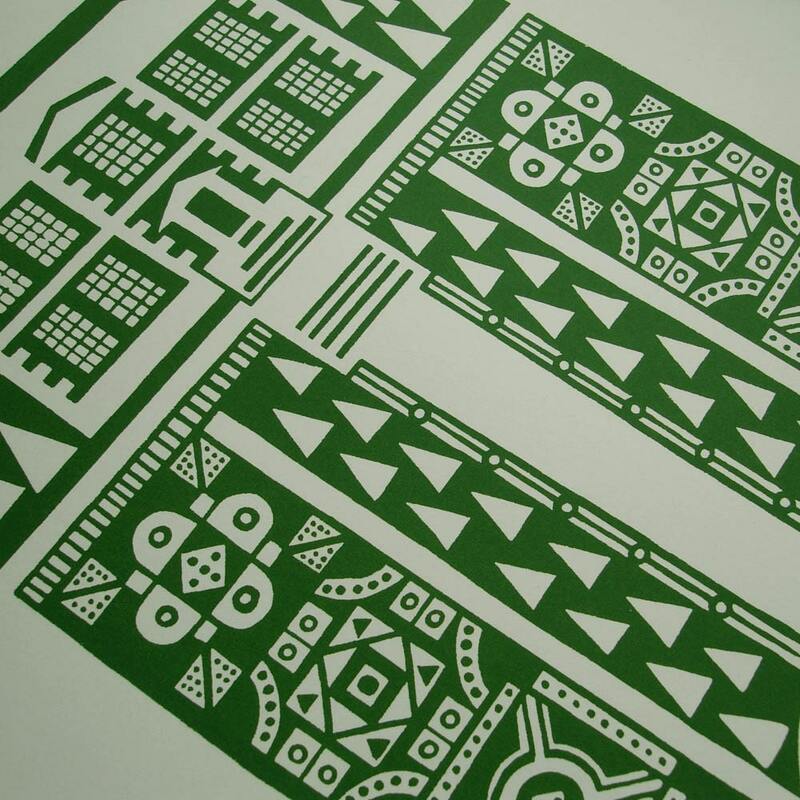 The newest addition to the Mengsel original silkscreen print range: "Manor Garden" in forrest green. 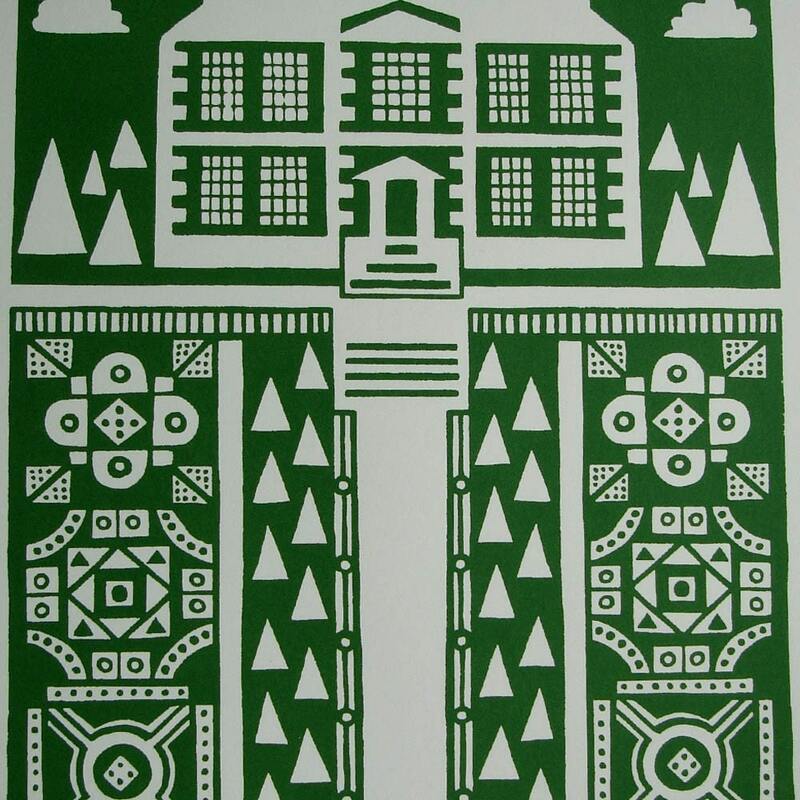 The design was hand drawn by me and shows a stately English manor with intricately geometric gardens located below, complete with lily pond at the bottom. 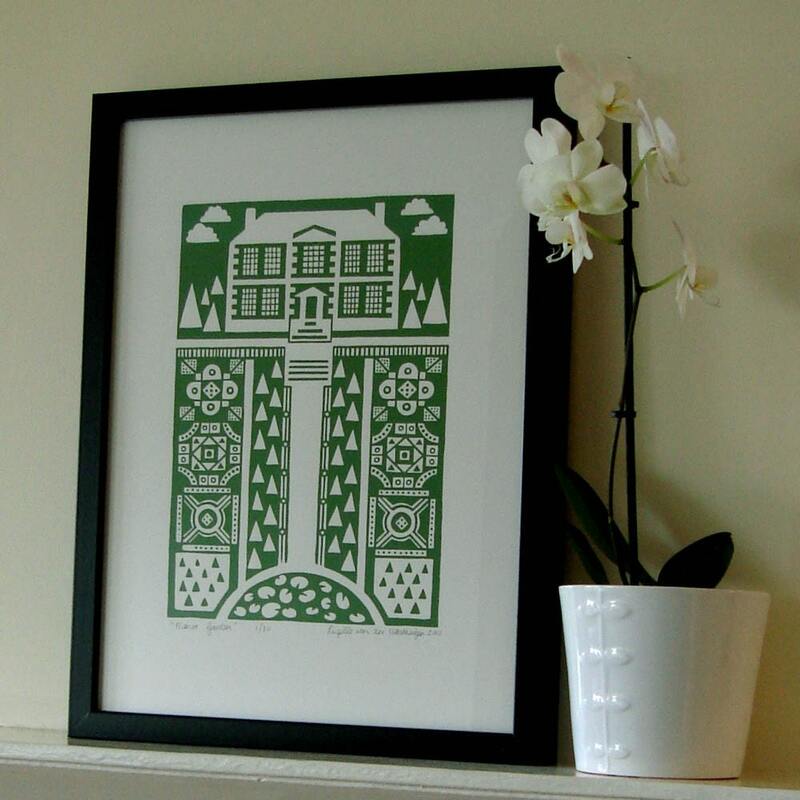 I was inspired by Georgian gardens as well as the beautiful gardens at Hampton Court palace, which is located near my home in South West London.